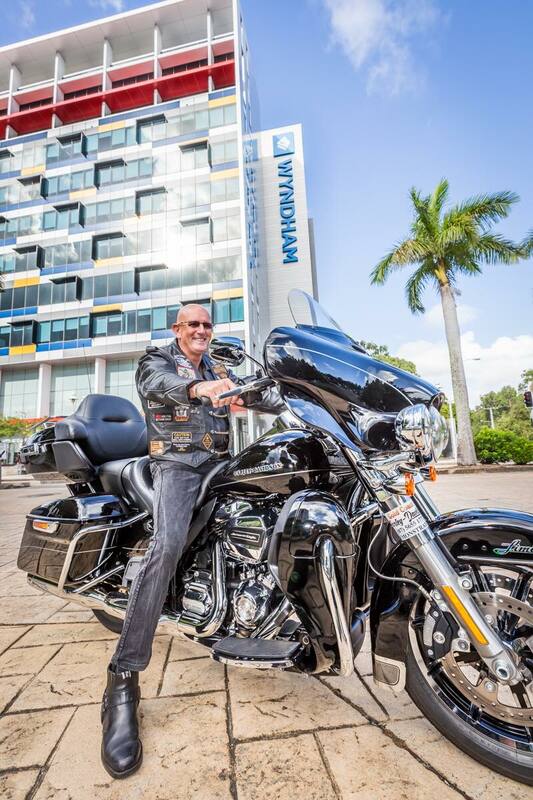 Bonogin local and Harley-Davidson rider Greg Kelly is determined to raise awareness for young onset dementia worldwide, by committing to riding the length and breadth of Australia, New Zealand and the USA, starting on 12th August, 2017. Mr Kelly’s initial diagnosis by his specialist left him shell-shocked after hearing that within five years he may forget his friends and family, and in the following two years may die from organ failure. “I was diagnosed at 59 and told that I had a life expectancy of 6 to 8 years and I should get my affairs in order,” Mr Kelly says. The diagnosis came as a big shock to Greg and his family, but his determination to never give up will see him take to his motorbike to raise funds and awareness for everyone living with the condition. Greg began his ride on August 12 on the Gold Coast and will finish his ride on October 23 on the Gold Coast. Greg is passionate about raising funds for research into dementia. The Queensland Brain Institute's Clem Jones Centre for Ageing Dementia Research (CJCADR), at The University of Queensland, is Australia's first and largest research centre dedicated to the prevention and treatment of dementia. Professor Jürgen Götz, a world leader in conducting cutting-edge research in Alzheimer’s disease, is the inaugural Director of the Centre. CJCADR is driven by the insight that fundamental, basic research is required to provide a solution to the ageing crisis as diseases including Alzheimer's pose an increasing challenge to our society. The Centre currently has 10 laboratories of researchers.